Well maintained home on a quiet tree lined street you have been waiting for! Great open floor plan, large family room with cozy gas fireplace and open kitchen with lots of cabinets, dining area, gleaming hardwoods and new carpeting thru-out, stainless steel appliances included. Master suite features walk-in closet and private bathroom. Central air, newer paint inside and out. Relax on the back covered deck or on the lush landscaped private backyard. Large fenced yard with sprinkler system and garden area. 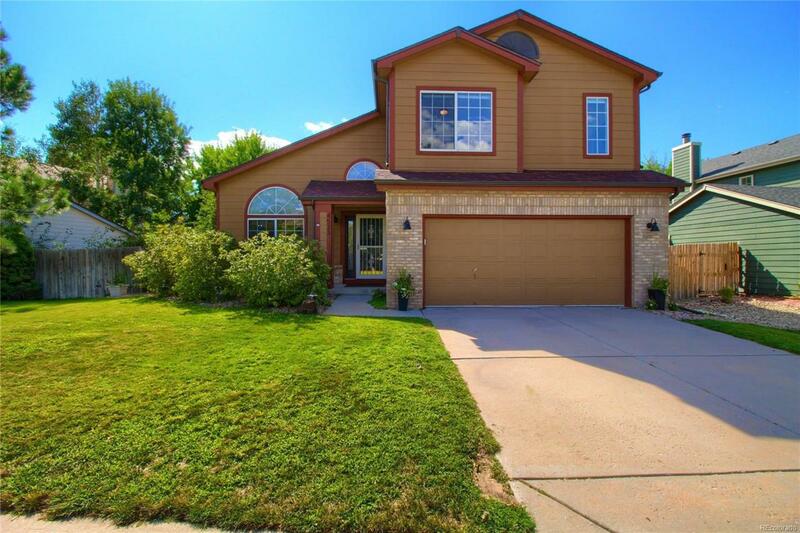 Close to parks, schools, golf course, shopping, Denver International Airport and RTD Light Rail System. Offered by Open Door Group Llc.